Wanting a small self-contained trailer, the FunFinder had much appeal, so I went looking for a new one but instead found a barely used unit where the dealer was using it as a rental unit (was seldom rented). Being setup as a rental unit, the trailer had been fitted with hydraulic surge brakes which have always worked well. My biggest complaint is the noisy air conditioner. I recently installed a small home window AC unit in my Aliner, so if I get ambitious, I may do the same with the FunFinder. The FunFinder is a nice small camper, but you really notice the drag on the hills of PA and WV. The Aliner weighs about half as much and being able to see over top the unit while towing is a real plus. The Aliner folding trailer setup is fast, interior has a feel of openness with large windows, and there is no canvas to get wet. 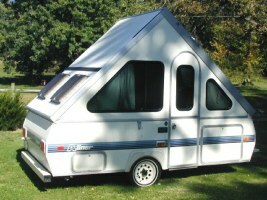 This makes for a very good travel trailer (as opposed to camping trailer). The FunFindFinder may have a lot of storage and other amenities (bathroom, etc), but not neary as fun to tow. So for the longer trips. the Aliner is our choice. 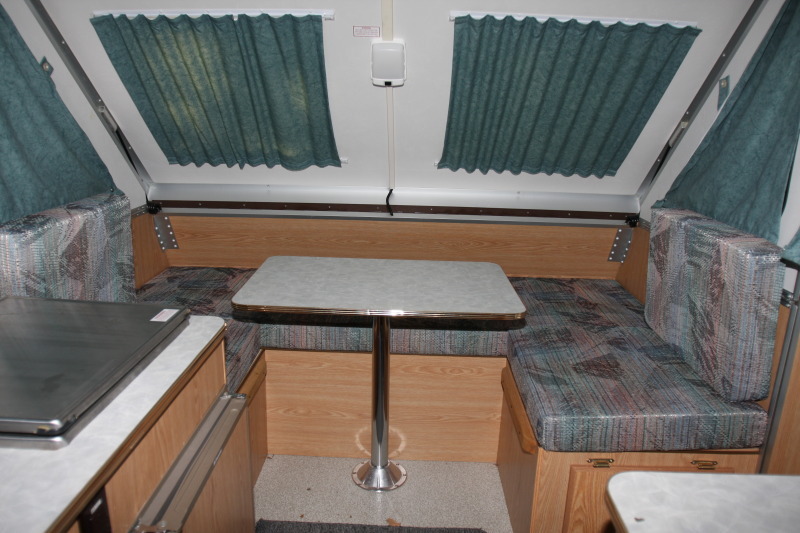 The Aliner does contain 3-way fridge, a sink, stove, AC, and a Fantastic Fan power vent. 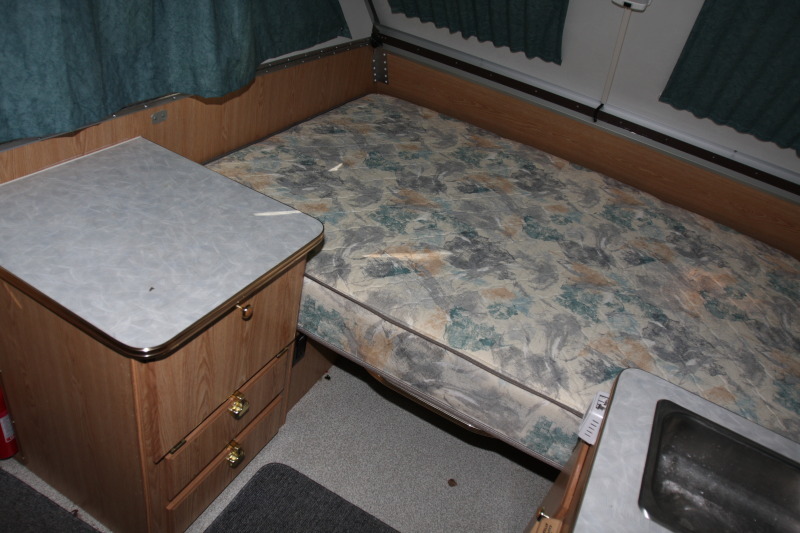 Also has an always down full size bed plus a wrap around dinette that will convert to an extra bed. 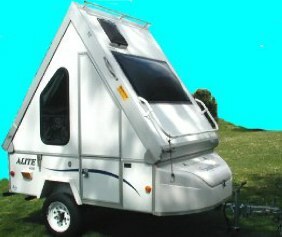 Prior to purchasing the Aliner DL, I decided it would be nice to have a trailer for times when I get away by myself. Thus the Aliner Alite was chosen. Weighing less than 500 lbs it can be towed with just about anything. No amenities except it did have a battery and a 120 AC to 12 VDC converter. Its a really great unit for one person and will sleep two comfortably, but you need to rearrange things inside first and be on really good terms with your partner. Not much interior storage but the front storage box is great. I just didn't go that much by myself, so obtained a larger Aliner with more amenities and, of course, weight. 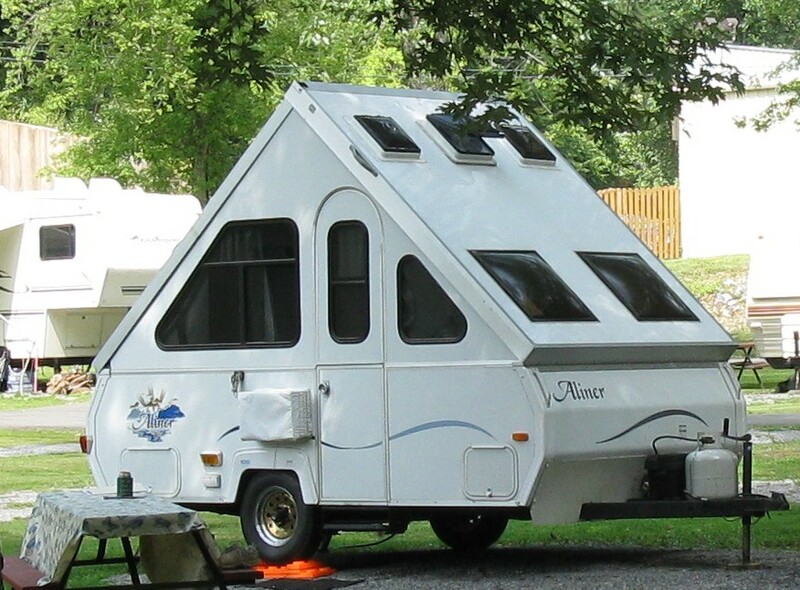 Previous to purchasing the FunFinder, I had a 2005 16 ft Scamp. 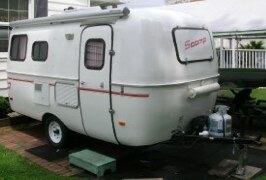 The Scamp is a nice easy to tow unit, but due to the rounded corners a lot of interior space is compromised. Also the interior is covered with a furry surfaced insulating material (known as "rat fur"). The combination of the rounded shape and furry walls gave it a cave like feeling. The fiberglass people are a loyal group and really love their little "eggs", and the unit is very well built - Just wasn't my "cup of tea". 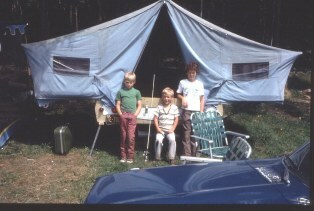 Our first camping trailer was an Allstate from the early 1960s (actually a Nimrod sold by Sears). All canvas top, only mats inside for sleeping (very comfortable), but beat the heck out of being in a tent on the ground. There were no amenities so we needed all the standard tent camping equipment. 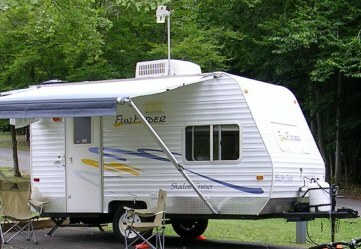 We towed that camper (approx 400 lbs) all over the eastern USA; sometimes with a VW Bug. Tons of room inside for suitcases and camping equipment. Many happy times with the kids camping and traveling from Maine to Florida.